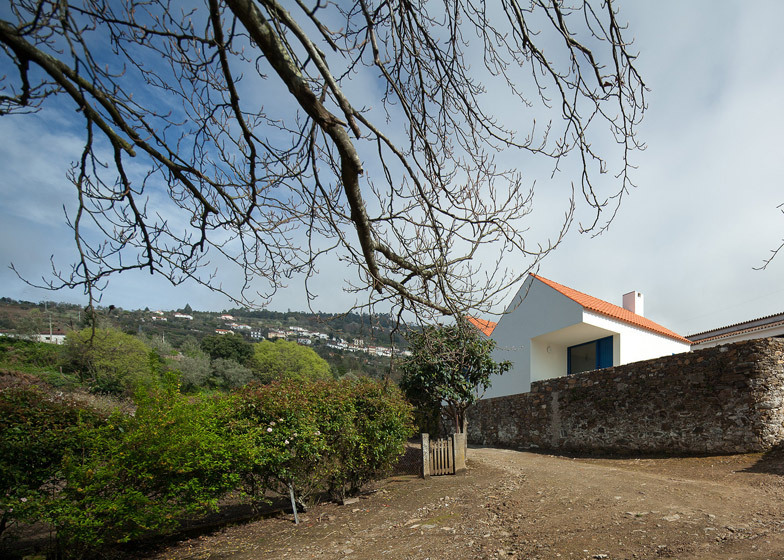 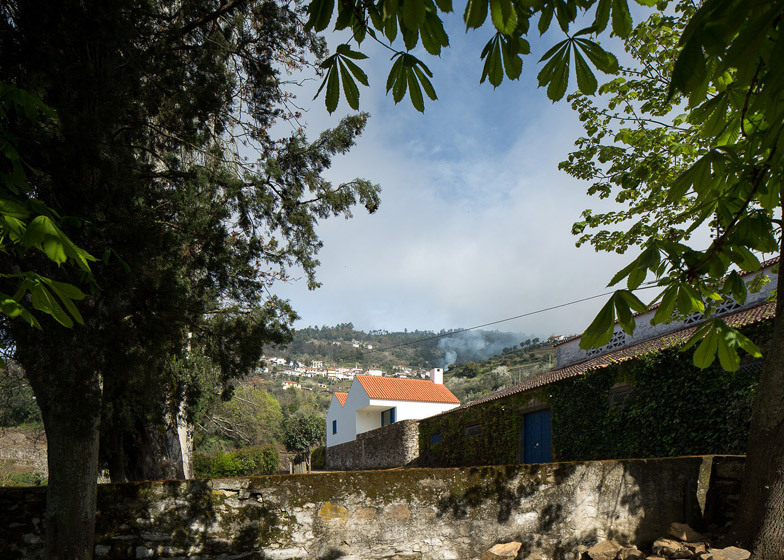 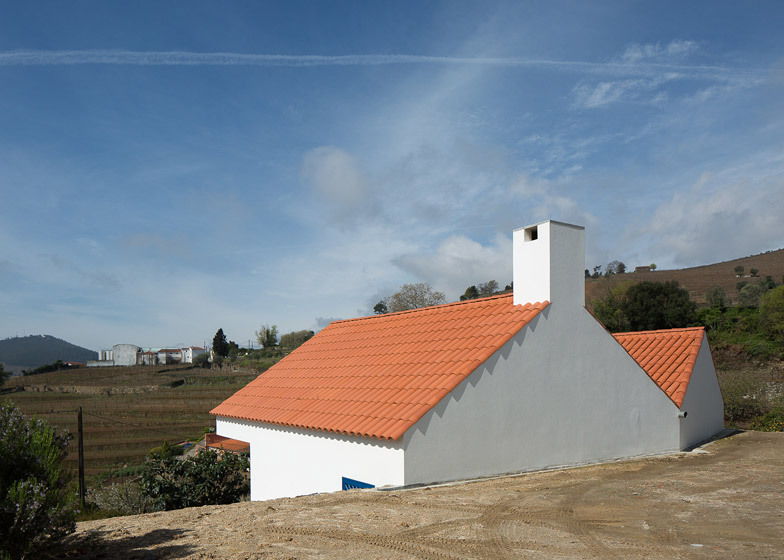 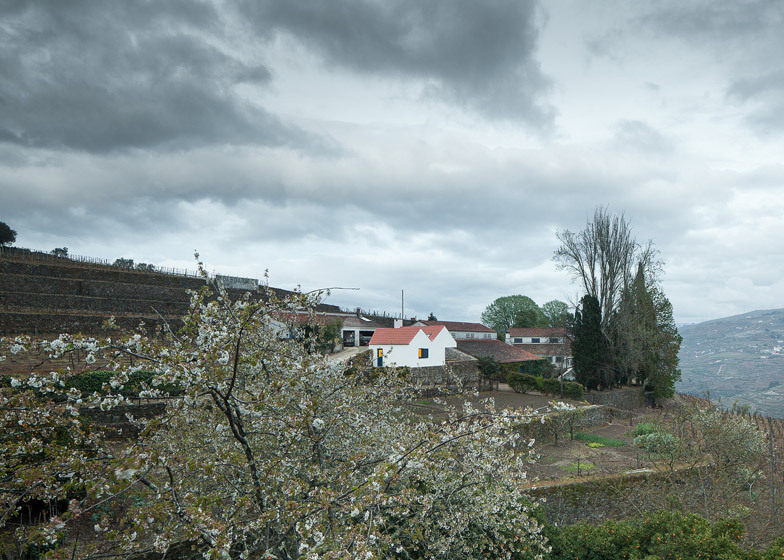 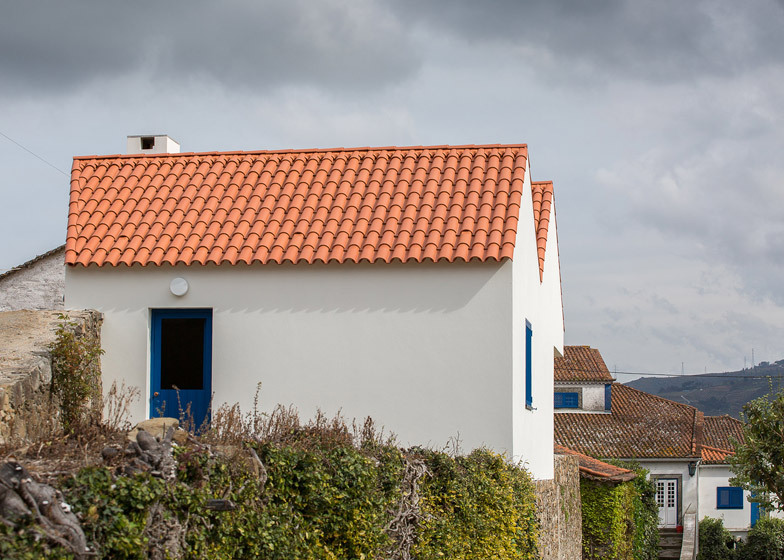 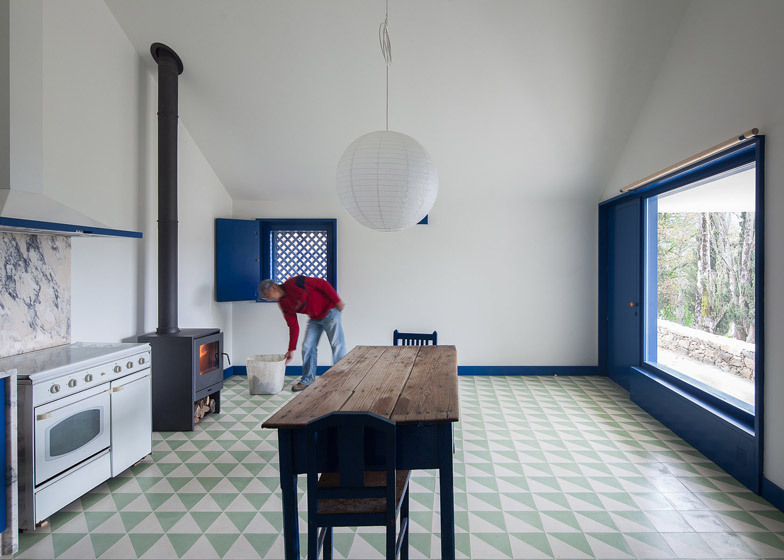 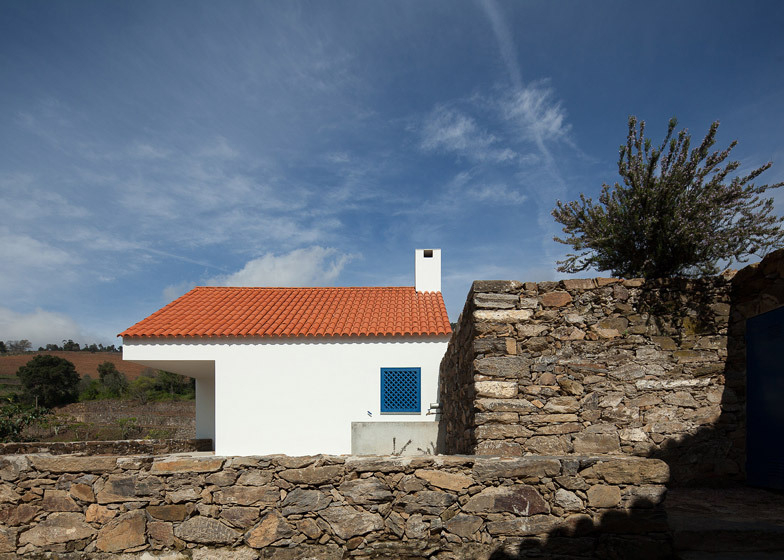 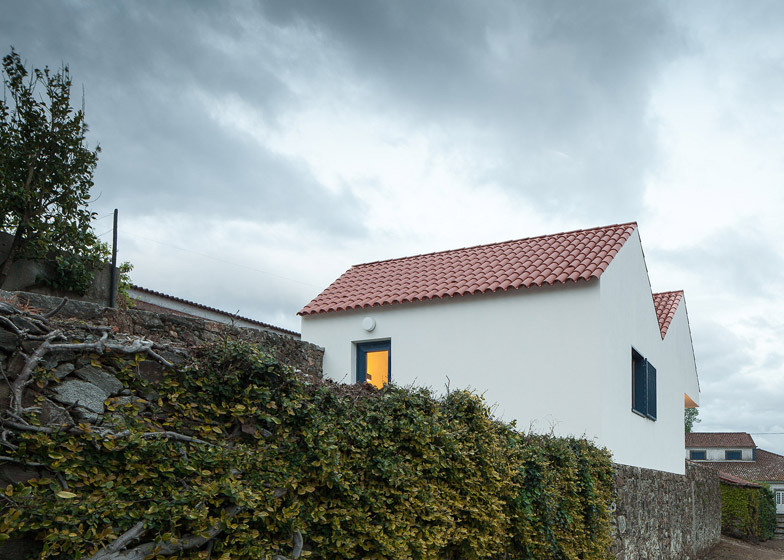 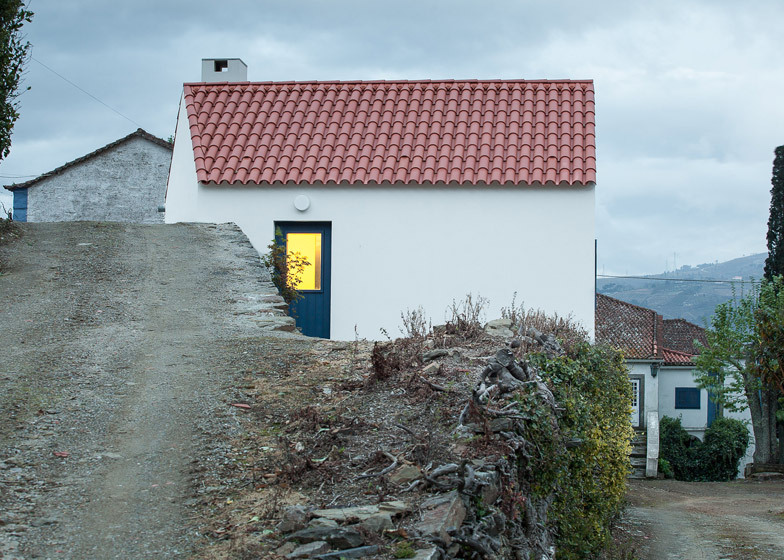 White stuccoed walls and terracotta tiled roofing create a visual connection between the simplified volumes of this small house in a Portuguese vineyard and traditional agricultural buildings nearby (+ slideshow). 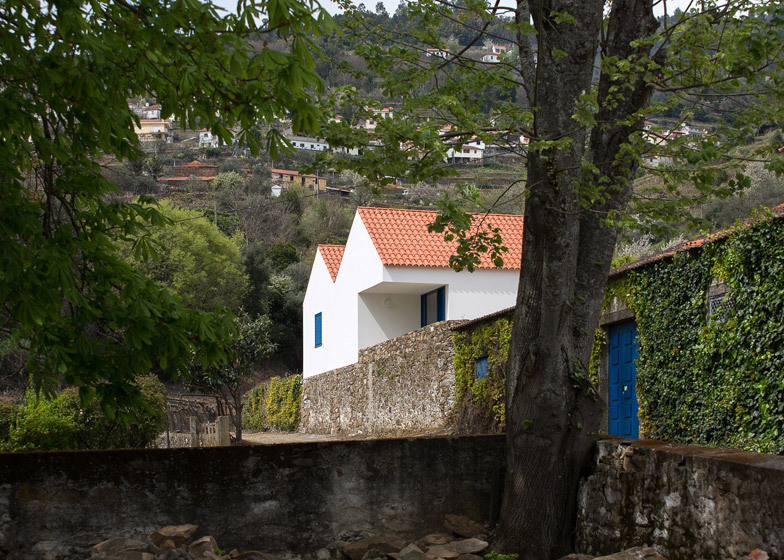 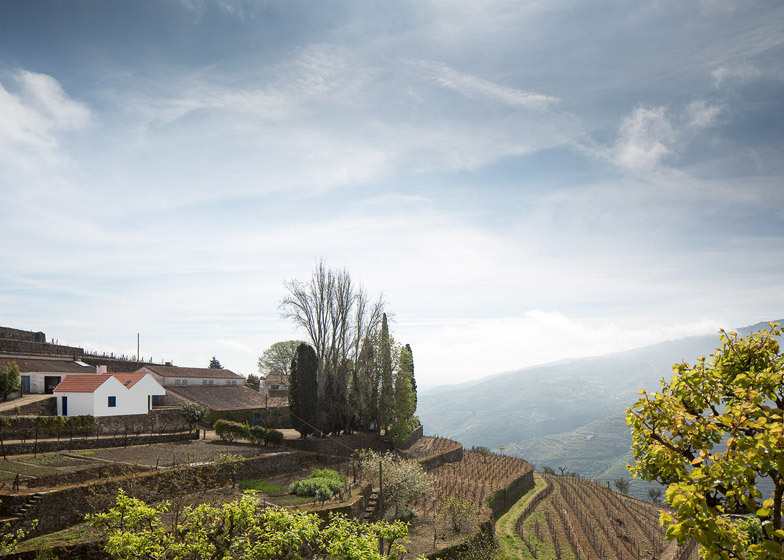 Sara Antunes and Mário Ferreira of Lisbon office SAMF designed the Casa dos Caseiros residence for the caretaker of an estate that overlooks the Douro river in one of Portugal's main wine producing regions. 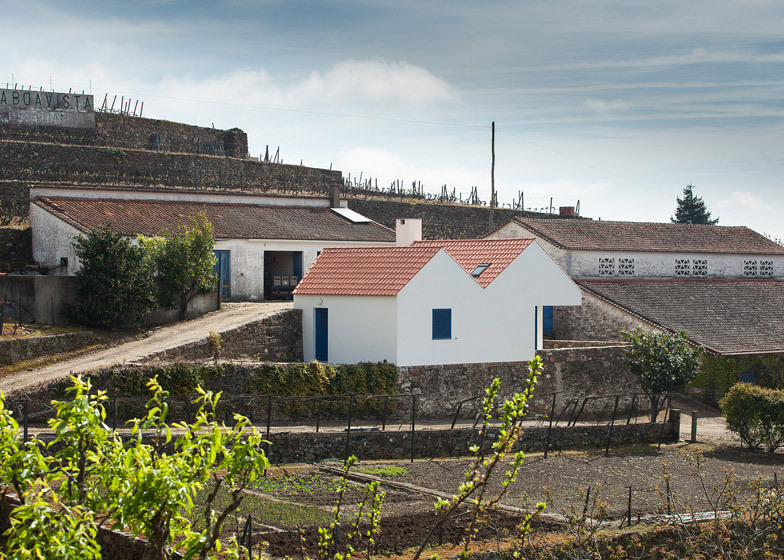 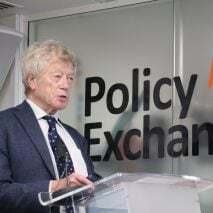 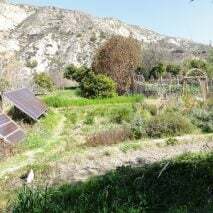 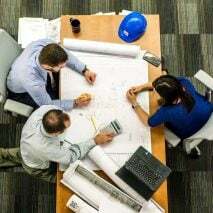 The property replaces an existing farm building and is part of the gradual regeneration of the site to improve its potential for agriculture and tourism. 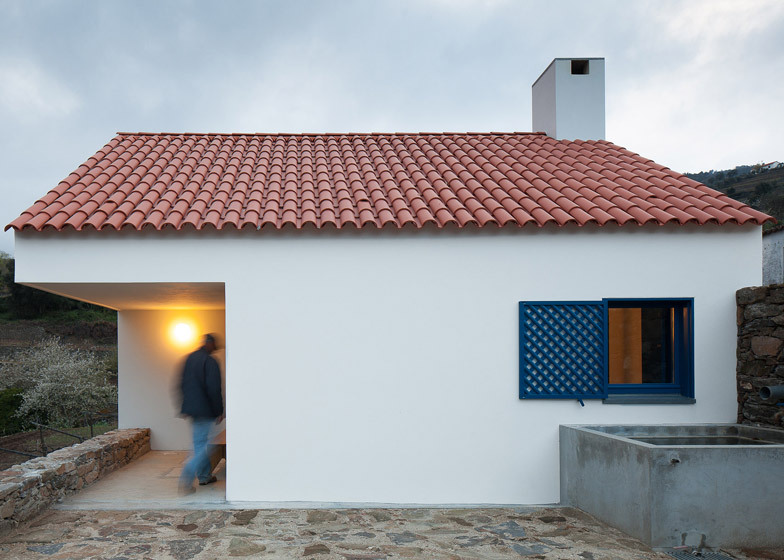 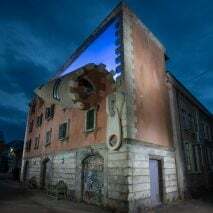 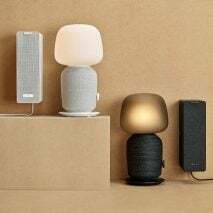 Simple forms, terracotta tiles, retaining walls made of local stone and blue-painted carpentry all reference the vernacular style of the existing buildings, helping the new addition blend in with its surroundings. 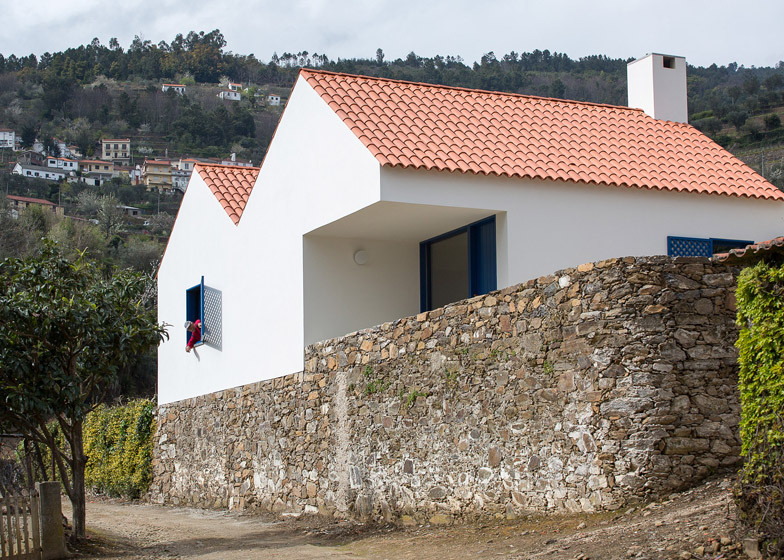 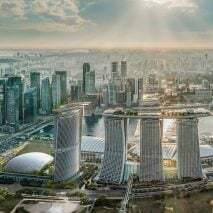 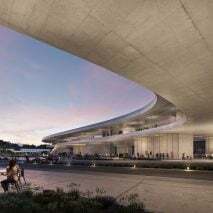 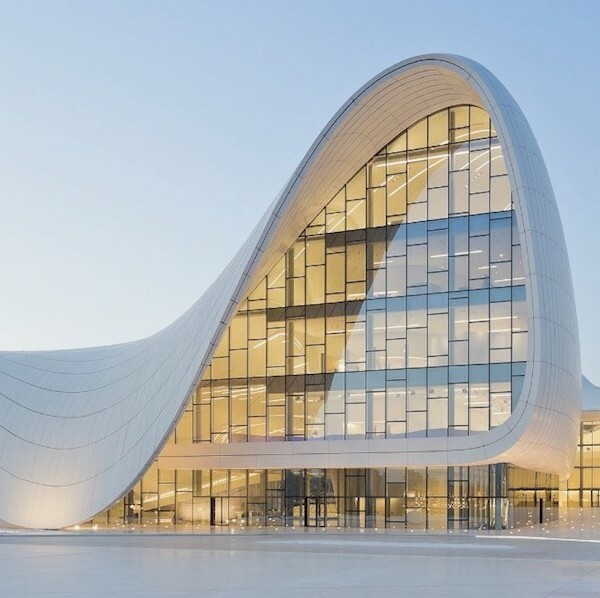 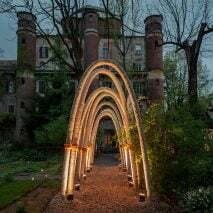 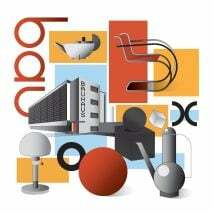 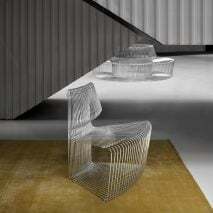 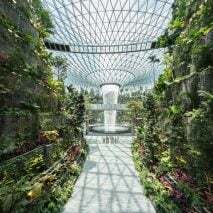 However, the architects explained that the design "also relates to the modern tradition, providing an openness of interpretation, with a subtle reworking of details which tend to give a more abstract and ambiguous character to the whole." 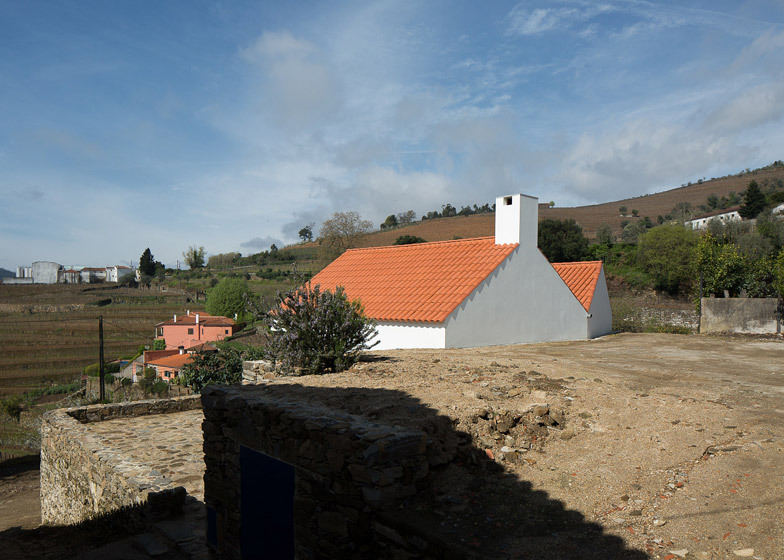 The house's two adjoining pitched roof volumes are situated at the entrance to the site, perpendicular to the terraces supporting the vines. 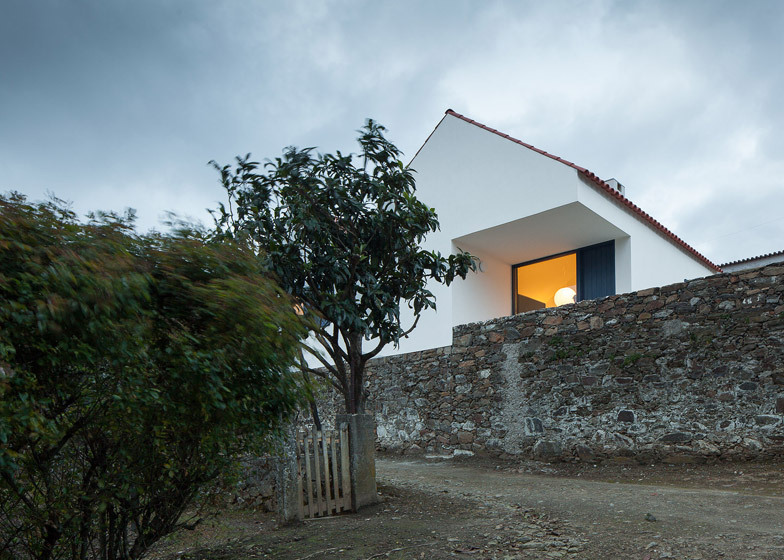 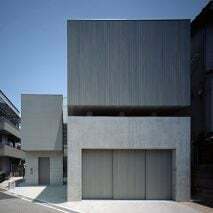 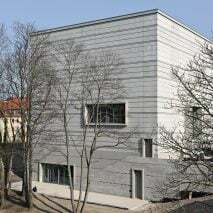 On one side a smooth white wall extends from a contrasting rugged stone retaining wall, while the line of the rear facade kinks to follow the path of the entrance road where it connects to a courtyard. 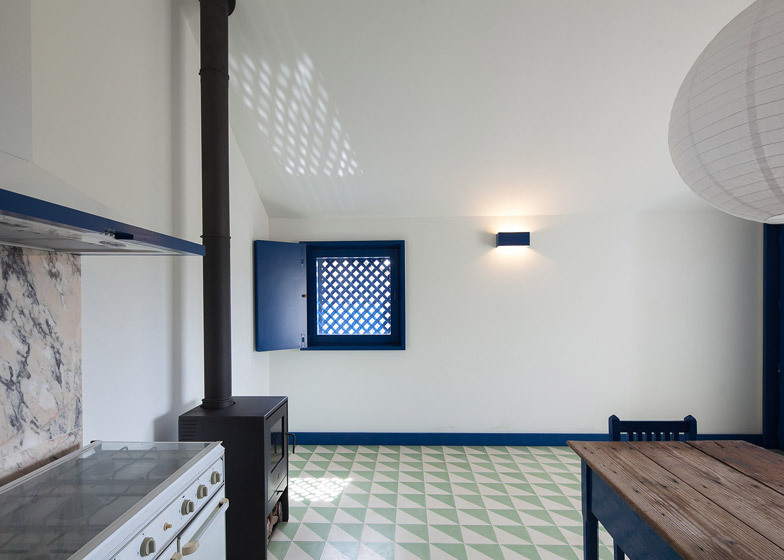 A corner of the building has been removed to create a sheltered entrance that leads into the open living and dining space, accommodated beneath the first of the vaulted ceilings that echo the shape of the roofline. 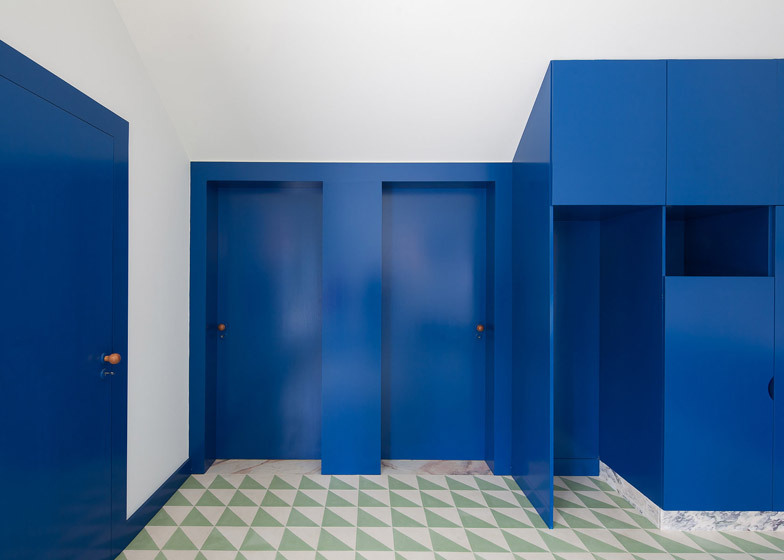 "Inside, we sought to make the spaces coincide with the outside form, with the simplest possible division and no transitional or circulation spaces," said the architects, who positioned the bathroom in the space next to the entrance. 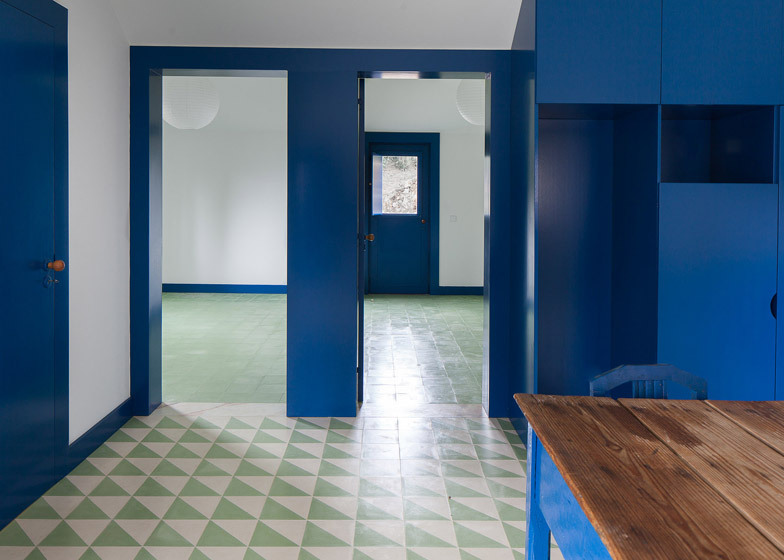 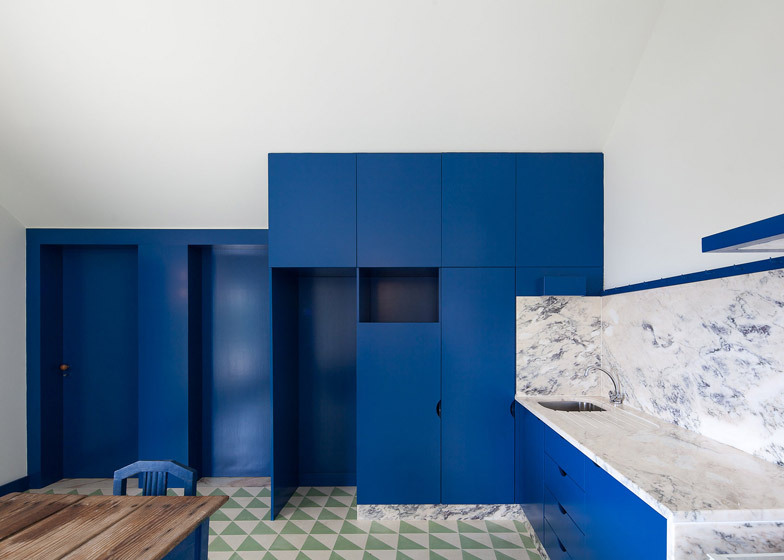 The sparsely furnished interior features blue cabinetry that continues the palette found on the exterior and incorporates entrances to the two bedrooms housed in the slightly smaller second volume. 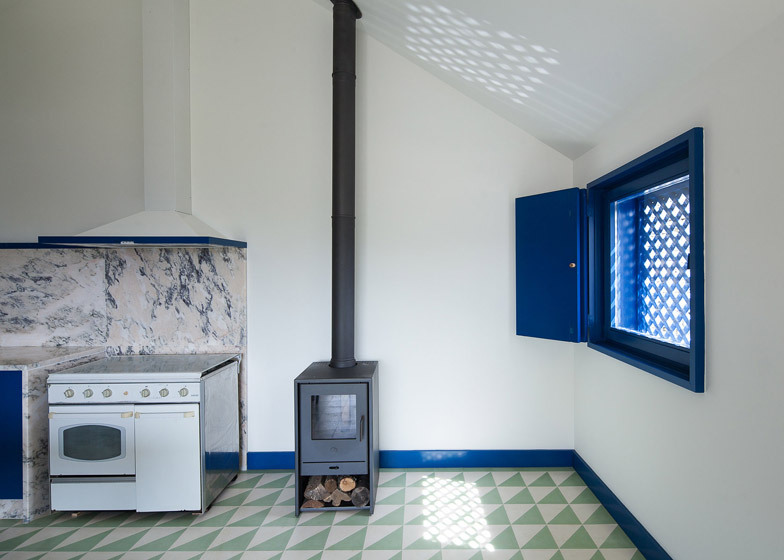 Geometric tiles provide a modern interpretation of the traditional painted tiles popular in the region, while a marble countertop and splash back add a natural detail. 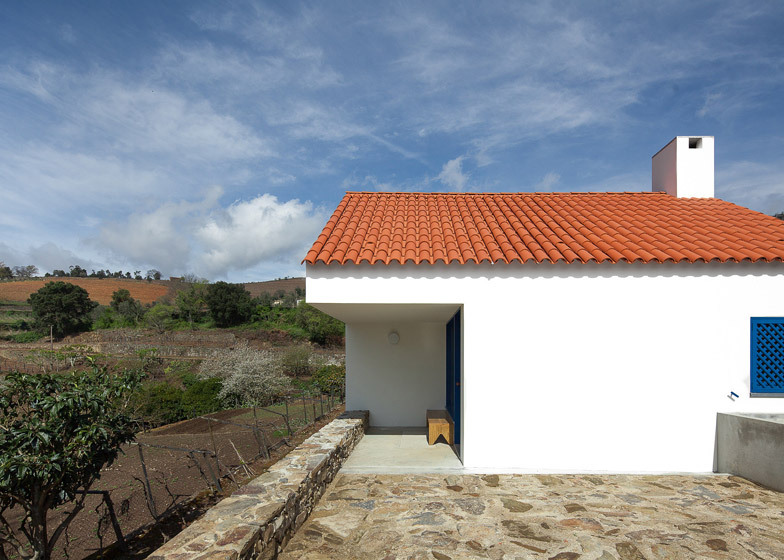 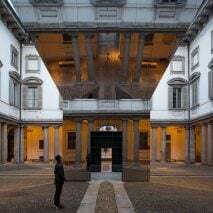 The small footprint references the compact size of typical gatehouses. 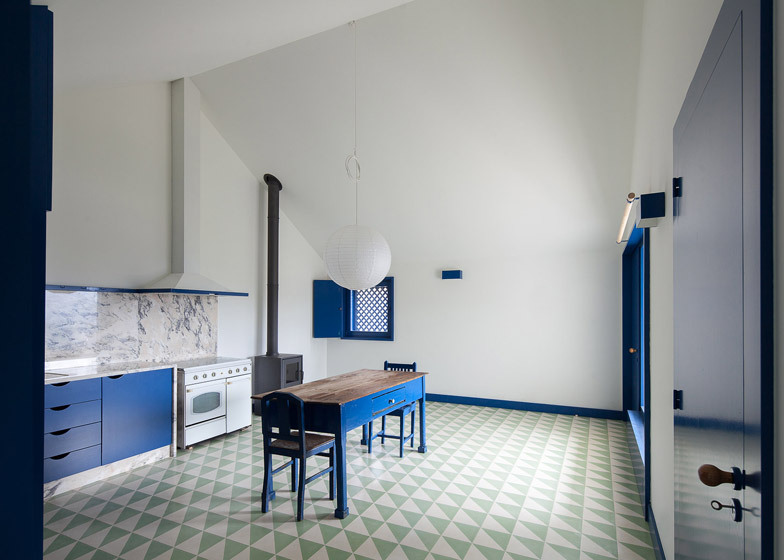 The architects attempted to offset this by creating rooms with steeply pitched ceilings that "accentuate their spaciousness despite their small physical size."